Pioneers events: what’s your jam? We hope you’re as excited as we are about the launch of the second Pioneers challenge! 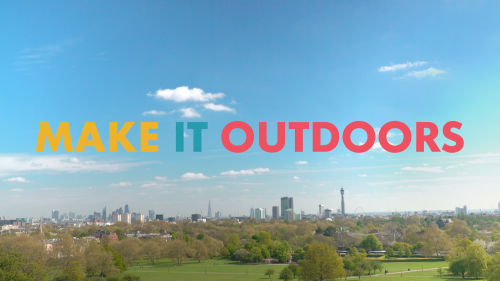 While you form your teams and start thinking up ways to Make it Outdoors with tech, we’ve been thinking of different ways for you to come together to complete the challenge. In the last challenge, we saw many teams formed as part of after-school coding clubs or as a collection of best friends at the kitchen table. However, for some this may not be a viable option. Maybe your friends live too far away, or your school doesn’t have a coding club. Maybe you don’t have the time to dedicate to meeting up every week, but you do have a whole Saturday free. If this is the case, you may want to consider running your Pioneers team as part of an event, such as a makerspace day or Raspberry Jam. Over the course of this second cycle, we’ll be building the number of Pioneers Events. Keep your eyes peeled for details as they are released! Maker events provide the chance to meet other people who are into making things with technology. You’ll find people at events who are just getting started, as well as more expert types who are happy to give advice. This is true of Pioneers Events as well as Raspberry Jams. Planning new #makeyourideas Pioneers projects @LeedsRaspJam Did someone mention a robot…? Raspberry Jams are the perfect place for Pioneers teams to meet and spend the day planning and experimenting with their build. If you’re taking part in Pioneers as part of an informal squad, you might find it helpful to come to your local Jam for input and support. Many Jams run on a monthly basis, so you’ll easily find enough time to complete the build over the space of two months. Make sure you carry on sharing your ideas via social media and email between meetings. If you are a regular at Raspberry Jams, or an organiser yourself, why not consider supporting some teenagers to take part in Pioneers and give them their first taste of making something using tech? We encourage our Pioneers to work together to discover and overcome problems as a team, and we urge all event organisers to minimise adult participation when overseeing a Pioneers build at an event. You can offer advice and answer some questions; just don’t take over. There are many other ways for you to help. Imagine the wonderful ideas you can inspire in teens by taking your own creations to a Raspberry Jam! Have you built a live-streaming bird box? Or modified your bike with a Pi Zero? Maybe you’ve built a Pi-powered go-kart or wired your shoes to light up as you walk? Pioneers is a programme to inspire teens to try digital making, but we also want to create a community of like-minded teens. If we can connect our Pioneers with the wonderful wider community of makers, through networks such as makerspaces, Coder Dojos, and Raspberry Jams, then we will truly start to make something great. For more information on Pioneers, check out the Pioneers website. For more information on Raspberry Jams, including event schedules and how to start your own, visit the Raspberry Jam website. Oh, and keep your eyes on this week’s blogs from tomorrow because … well … just do. Do you like making things? Are you aged 11 to 16? The Pioneers challenge is ready for you!